Dorothy Jean (Riggs) Gleason went to be with our Lord on Wednesday, August 8, 2018. Dorothy was born in Douglas County, Missouri, to Leonard and Ella (Walker) Riggs. She grew up in Gentryville and attended Mountain Grove Schools. On June 2, 1950, Dorothy married Wilfred C. Gleason, moving to the St. Louis area shortly afterwards. Wilfred was soon drafted into the army. This took the couple to Fort Riley, Kansas, where their son was born. Following Wilfred’s discharge from the Army, they returned to the St. Louis area where their daughter was born. In 1965, they moved the family to Sullivan, Missouri, and in 1999, they returned to Mountain Grove where they remained until their passing. Dorothy was a legal secretary for over forty years. She was a Christian and very involved in her church. She was extremely involved in her community, volunteering for many causes, including hospital work and making flower arrangements for the gift shop. Dorothy was the Red Cross Blood Mobile chairman in Sullivan for many years, as well as coordinating the American Cancer Society fund drive. 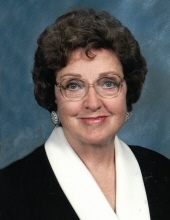 Dorothy was fascinated by genealogy and spent many years researching the family tree, finding family members and attending reunions all over the country. She was an avid music lover; from hymns to Bluegrass to Broadway shows. She attended dozens of music festivals over the years and stayed in contact with musicians from all over the world. She was an excellent dancer and enjoyed clogging and square dancing. She loved languages and enjoyed attempting to guess someone’s nationality by their accent. She also loved reading and doing crossword puzzles. Dorothy was a consummate country cook and loved hosting large dinner parties. She gardened and canned her own food and was an excellent homemaker. She was a wonderful mother and grandmother and loved her children and grandchildren more than anything else, involving herself in their lives as much as possible. Dorothy was preceded in death by her parents, her husband, Wilfred, in 2011 and her sister, Donna Faye (Riggs) LaRose. She is survived by her two children, Paul Gleason and his wife, Denise, of Eagle River, Alaska, and Joy Jaster of Mountain Grove, Missouri, three grandchildren, Melanie Gleason and Samantha Gleason both of Eagle River, Alaska, and Abigail Jaster of Mountain Grove, Missouri, one brother, Glenn Riggs of Mountain Grove, Missouri, her aunt Inez Walker of Mountain Grove, Missouri, four nieces, four nephews, and many other relatives and friends. To send flowers or a remembrance gift to the family of Dorothy Jean Gleason, please visit our Tribute Store. "Email Address" would like to share the life celebration of Dorothy Jean Gleason. Click on the "link" to go to share a favorite memory or leave a condolence message for the family.